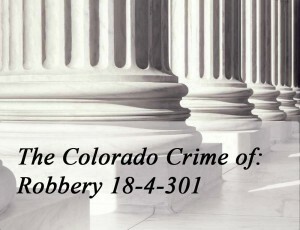 – The Jury Instruction for most of main form of Robbery appears after a reprint of the statute defining the crime. (1) A person who knowingly takes anything of value from the person or presence of another by the use of force, threats, or intimidation commits robbery. (2) Robbery is a class 4 felony. 6. by the use of force, threats, or intimidation. 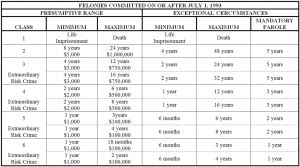 To Enlarge The Colorado Felony Sentencing Chart – Click on the chart until it enlarges.